I saw this fabric at an estate sale and fell in love with it. 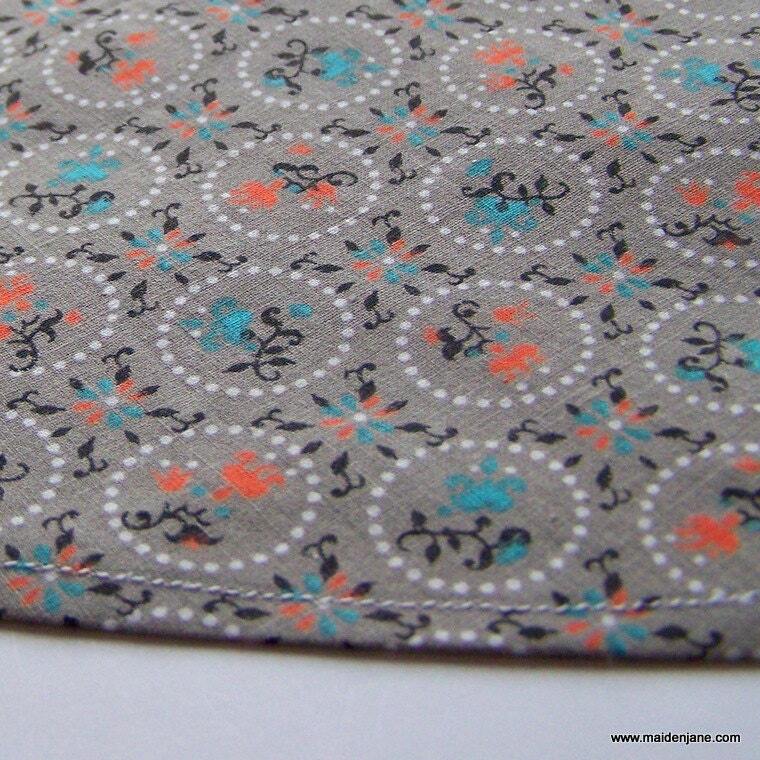 It has a country charm, yet modern colors of turquoise and orange. 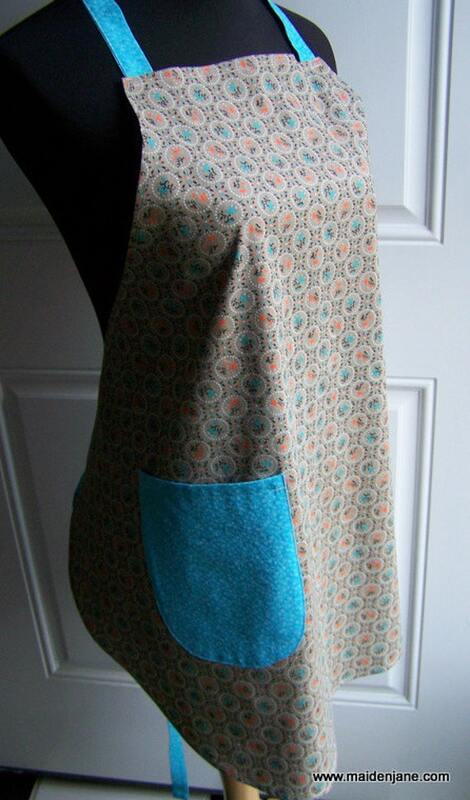 I love to have all-over designs on my aprons because the design helps to cover the spills and splatters! I only had enough for two aprons. My listing is for one but if you would like two, just let me know before you place your order. Speaking of orders, T Shirt Quilt orders are closed for the holidays due to the number in my queue. If you are thinking about ordering a quilt for a high school graduate in 2012, I encourage you to gather the shirts as early as possible. Thank goodness I don’t have a graduate this year. After two years in a row, it will be great to have a break from the college planning and graduation party work! But I have a lot of personal quilts to make this year as well as a large number of local orders. I may even think about adding an incentive for placing orders early. On the flip side, I know there are a lot of crafty folks out there. 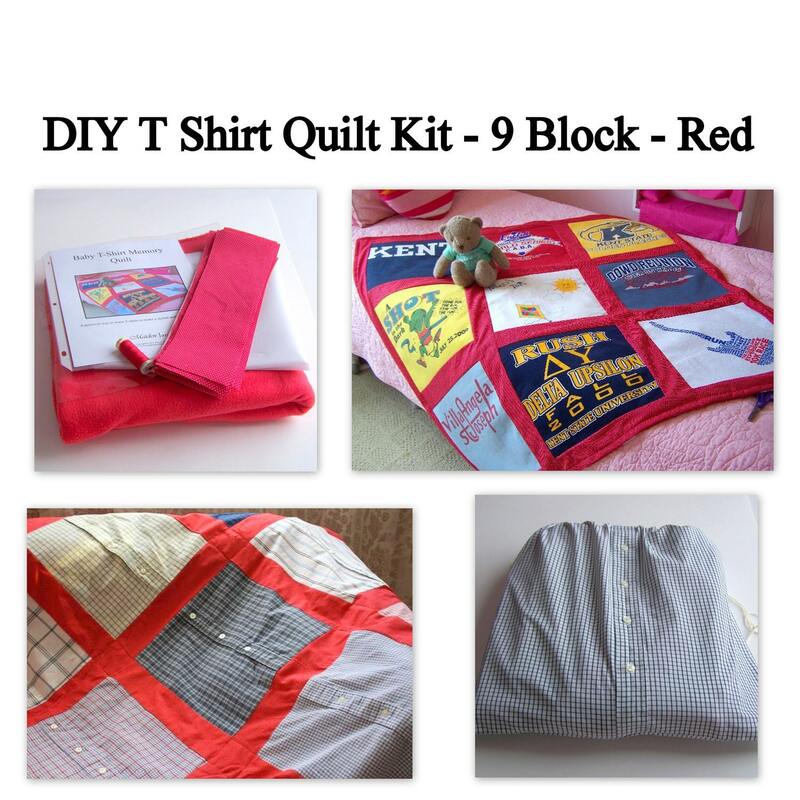 Now might be the time to make your own T Shirt quilt! I have a pattern available that is great for beginners. This is such a fun and satisfying project. It has so many uses. 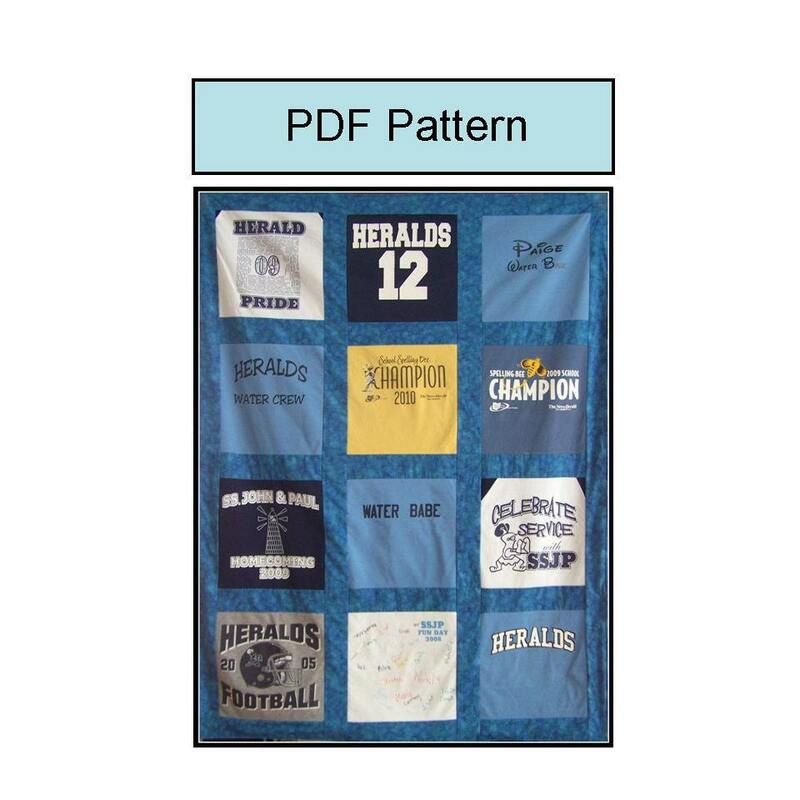 It’s great for graduation gifts, but also for sports enthusiasts, the guy in your life, as a memory blanket. It would even make a great wedding gift for the modern, sensible couple who doesn’t need another crystal vase or silver whatever in their life! In fact, I will be making a wedding quilt in 2012, also. The idea was inspired by my lovely niece who is getting married in June. I’ll share details of that project as it comes along, but I’m very excited about it. Finally, if there is a baby in your life, I have put together T shirt quilt kits in four colors. All you have to do is cut your T shirts and sew everything together. Have a great weekend! We finally have a quiet weekend in store. Ooh, that fabric is to die for! I’d have a little trouble sharing it. Love the aprons, though.